NTC will distribute cash to all Libyan families in celebration of the one-year anniversary of Libyan revolution. This comes as standoff between those in power, lawless militias and former Gaddafi supporters continues. National Transitional Council (NTC) will award each family with a sum of 1,600 US dollars and each single person will get 160 US dollars. However, this money will bring little solace to people of Libya as one year on NTC has made little progress in filling the void left by the collapse of Gaddafi's regime. Effective state institutions like courts and organized security forces are still far from a reality in the war-torn country. 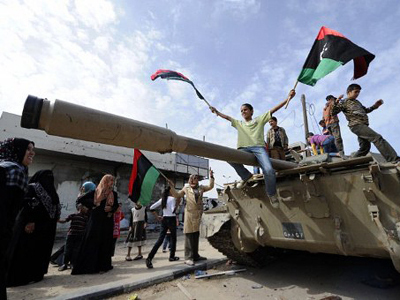 The new authorities only control, and are able to provide security in Tripoli. The NTC has failed to gain control over the hundreds of militias that fought in the war. Many of them are still in possession of arms they are not willing to part with. Armed gangs have control over scores of detention centers for people accused of links to the Gaddafi regime. Human rights groups say these centers hold thousands of people, with at least 8,000 being tortured. 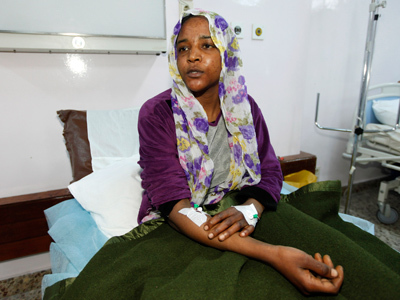 In September, the NTC released its first figures of casualties from the six-month conflict that began in mid-February. At least 30,000 people have been killed, 50,000 more wounded, and some 4,000 are still missing. 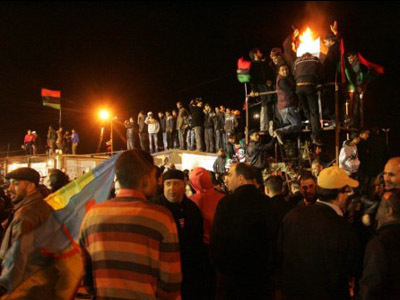 A new report from Oxford University claims 35 per cent of Libyans would rather return to autocratic rule, while two thirds of the population want to have a say in Libya’s future. Report also shows 16 per cent being ready to resort to violence for political reasons. This adds up to around 630,000 potential fighters, in addition to the 280,000 who took up arms last year. The research also says four out of five Libyans are happy with how the National Transitional Council is running the country. There are concerns that various factions that toppled Gaddafi’s regime could revert to violence in what is a traditionally tribal society. According to the Libyan Health Office, scores were killed by Coalition air strikes. Only four months after military operations began NATO airstrikes killed 1,108 civilians and wounded 4,500 more. Countless lives have been forfeited in what is one of the bloodiest conflicts in the chain of uprisings that rocked North Africa and Middle East in 2011. 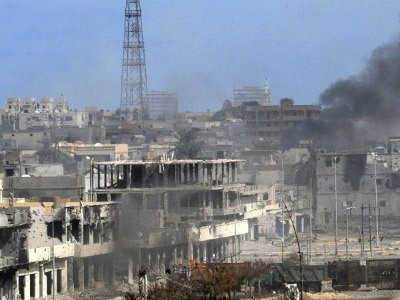 However, the death toll is only the beginning of a long list of things Libya has lost in its drive to bring down Gaddafi’s regime. “No revolution can succeed if it comes on top of foreign tanks and Libyan revolution came with violence from outside unlike the Egyptian and Tunisian revolutions,” says Dr. Mazin Qumsiyeh, a human rights activist from Bethlehem university. 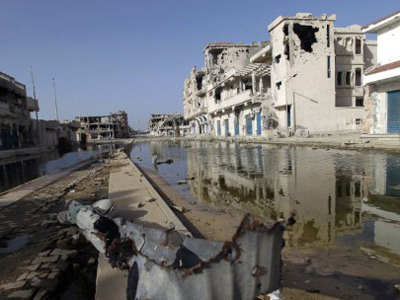 NATO’s intervention plunged Libya back into the Stone Age and the civil war cost the country’s economy more than $40 billion, shrinking it by 60%, according to the IMF. Crude oil production that contributed half of the country’s GDP, almost vanished. Foreign trade also suffered, with imports being damaged by the blocked access to its foreign assets. 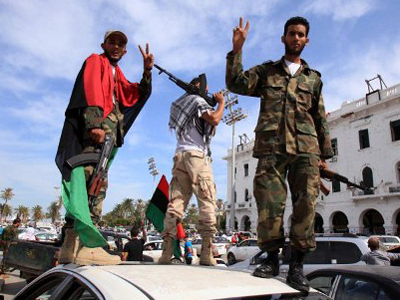 The hard-fought freedom Libyan rebels dreamed of came with a hefty price-tag. Cities abandoned and left in ruins, lawlessness, security issues, hate crimes, children pulled out of schools, people living in constant fear – this is the face of a new Libya. “[Libyan people] had free education, free health, they could study abroad. When they got married they got a certain amount of money,” former MI5 agent Annie Machon told RT. Now they have $160 US dollars each and a hard task of building democracy they’ve never lived in.